Service Providers who want to launch new services to create additional revenue streams are faced with the question - how are we going to support the customers who will buy these services? What is the BSS Challenge Today? There is a broad understanding globally, that service providers need to diversify their services. Service providers have also realized that their true market strength is their direct connection to their consumers, from large enterprises, to small and medium sized businesses, as well as private customers. Service Providers who want to push forward and launch new services to create additional revenue streams are faced with the question – how are we going to support the customers who will buy these services? Furthermore, how can we manage the prohibitive costs that telecom business support systems (BSS) require? 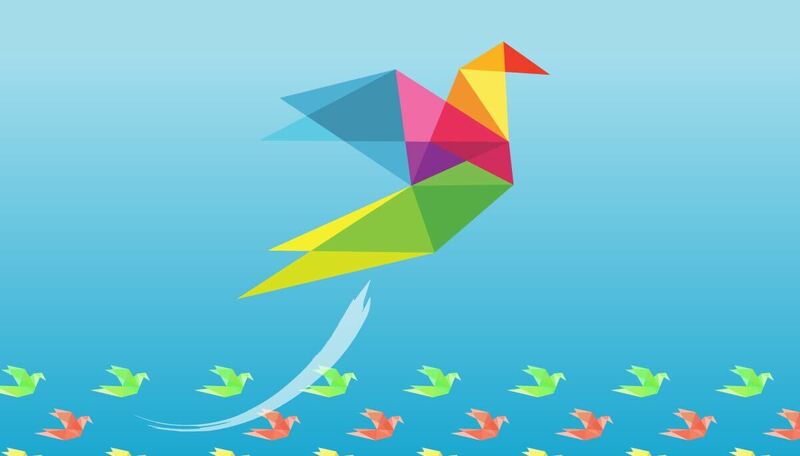 Traditionally, BSS were created individually for a targeted service provider service. As an example, there were BSS solutions for fixed line telephony services. In addition to network equipment. BSS was designed alongside, to support activation, customer registration, billing, invoicing, customer relations and all other customer-facing activities for that service. For decades, service providers did not change the services they offered, and they did not change their BSS either. Nowadays, service providers need to build new revenue streams from additional services to keep up with the competition, and to keep the customer satisfied in a fast-paced technological environment. Traditional BSS systems are holding them back because they don’t support these new services. When upgrading them can take years and cost millions, what’s the answer? 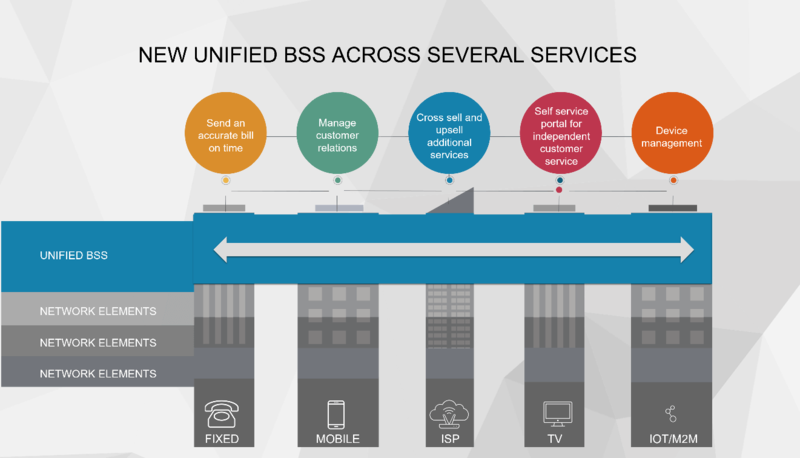 The new unified BSS supports the service provider’s plans to add services. In the chart below, regardless of the service being offered by providers, unified BSS gives business support. 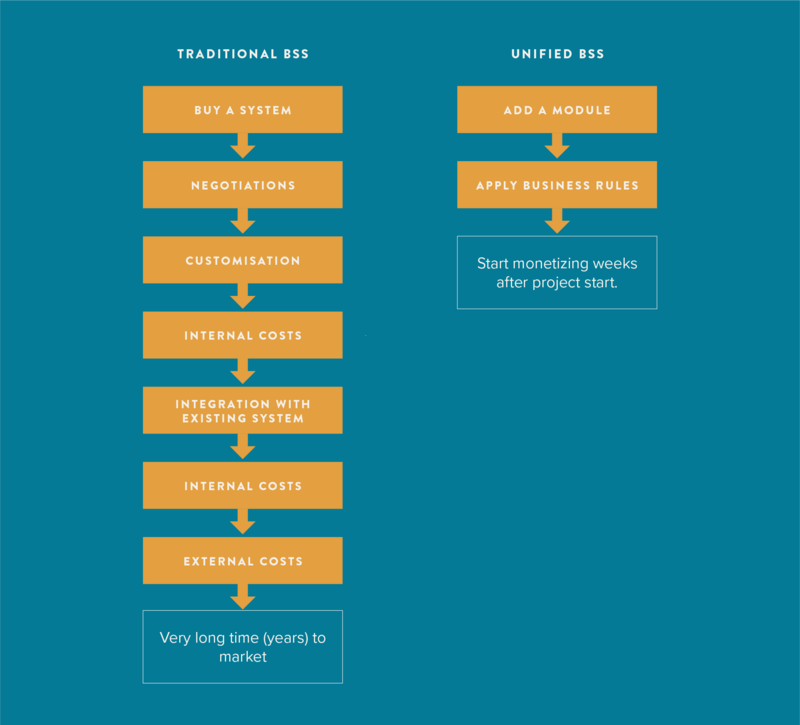 It is very common that a mobile service provider would want to launch an ISP service or a TV service as well – with Unified BSS, adding a new service does not require customization projects, and can work within your budget and time-frame. New BSS connects to all the systems internally and manages all properties of the subscriber. It operates in real time with no need to wait for batch processes that run every other day. The entire journey, from provisioning and activation, to billing and invoicing can be located on one screen, with an online web interface, so accessible anywhere. Feedback regarding the status of the operation is given in real-time, helping service provider operations become efficient and better equipped to serve the customer. Customer representatives no longer need several screens and multiple processes. The new BSS integrates with all the internal systems and manages the whole process. Best of all, this works on any device. New BSS is designed to be future-proof because it can integrate an unlimited amount of different services quickly, inexpensively and in a painless manner. With BD Innovations’ unified BSS adding a service and having it ready for launch would take just 1 month! There are business conditions that require service providers to launch new services in a separate business unit entirely, managing them in a silo, just because of the old legacy BSS systems. The new generation BSS offered by BD Innovations provides the capability to connect any service to any device even when the services are very different from one another, or have been separated for technical reasons. Your life after upgrading to unified BSS? Using a unified BSS, service providers can now provide their customers with a single bill for all their services, and one credit evaluation for each customer. Providers can incentivize with benefits across services, plus the option to bundle services (Triple play, Quad play, etc.) They can also begin to measure and react to the customer value to the business. Internally, unified BSS can offer insights and information about customers, to understand their behavior and acceptance of the services. Customer reps have granular visibility to all the services the customer is subscribed to. The customer rep can manage customer interactions with one screen and provide complete answers in one interaction. There is a simple one screen activation for all the services which are offered, and the provisioning and activation are performed in one touch and in real-time. This process saves time, decreases human error, and facilitates excellent customer service. What's happening in your field right now? We regularly publish articles that will affect the way you work and think on BD Academy. We'll be extra careful with your data, promise. Placeholder box for triggering only. This content is required for it to trigger.